“Consistently Available” is the motto for GCU’s new campus pastor, Tim Griffin. As you speak with Griffin, you hear the word “available” a lot. 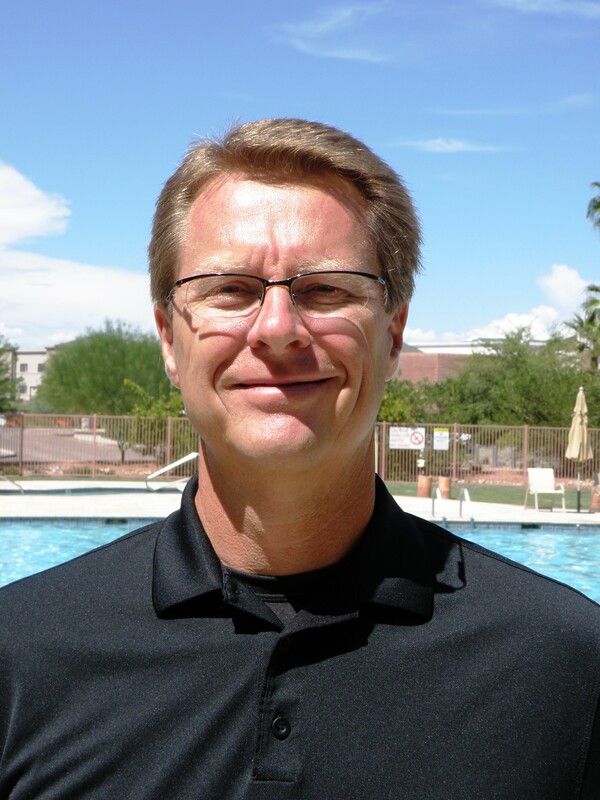 He is making himself so available to GCU students that he will be moving with his wife, Robin, into the North Rim Apartments on campus. With more than 10 years of experience as the chaplain for the NASCAR Sprint Cup Series, Griffin will be finishing his duties with the last nine races of the season as he begins his tenure at GCU. He is experienced in what it means to be available, as his “office” was most often a stack of tires to lean on while talking to the drivers, crew and anyone else at the track in need of support. Griffin, known as “Chappie” at the track, was a presence for the drivers from the moment they pulled into town until the checkered flag on Sunday. His mission was to connect with people. 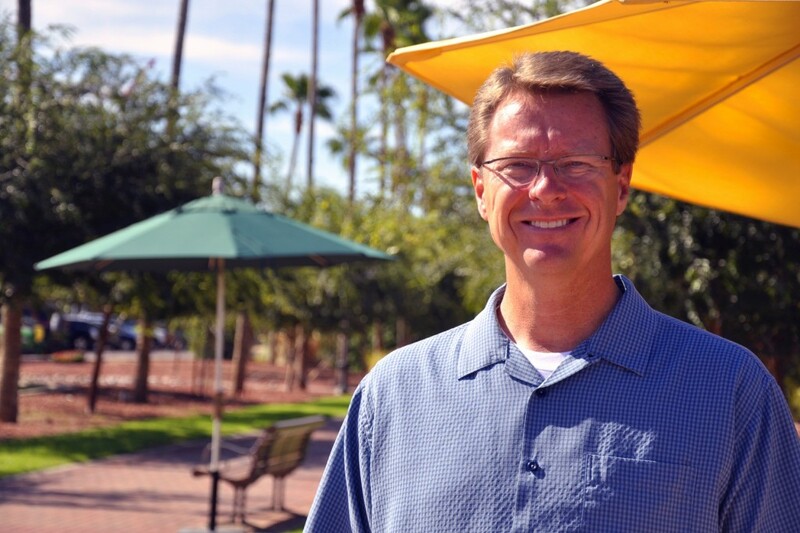 GCU University Pastor Tim Griffin. Griffin’s responsibilities included being available for the drivers and their families in the event of injury. He was there on qualifying days, as well. Often, he was the first person at the track early Friday morning for the weekend’s events. “Chappie” is looking forward to the opportunity to work with the Campus Life and Spiritual Life staff and student leaders. He believes such teamwork is the only way they will be able to serve the number of new students — about 1,500 — on campus this fall. Griffin earned a Bachelor of Arts in Theology degree at Pacific Coast Baptist Bible College before settling into positions as associate and senior pastor throughout the 1980s. In 1994, he graduated from Moody Graduate School with a Master of Arts in Ministry degree. He is currently working toward a Doctorate in Religious Studies with Trinity College and Seminary. He has two children, Taylor and Spencer, who are members of the GCU men’s volleyball team. His marriage to Robin has lasted for 27 years. Robin is wrapping up her job in Tucson and will be joining Griffin soon in their apartment on campus. Their boys will live in the dorms this year. Griffin will present at the first chapel of the fall semester on Monday, Aug. 30. He wants to talk on the issue of fear. For fearful new students, the new campus pastor is right there with them. Asked how being a campus pastor compares to being a NASCAR chaplain, Griffin says he will treat his new position much the same. 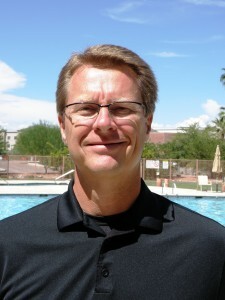 Reach Zane Ewton at zewton@gcu.edu or 602.639.7086. So glad to have you on campus. I am excited that God has called you here at such a time as this. I pray you be blessed and that the Lord minister to you and through you while you’re here.